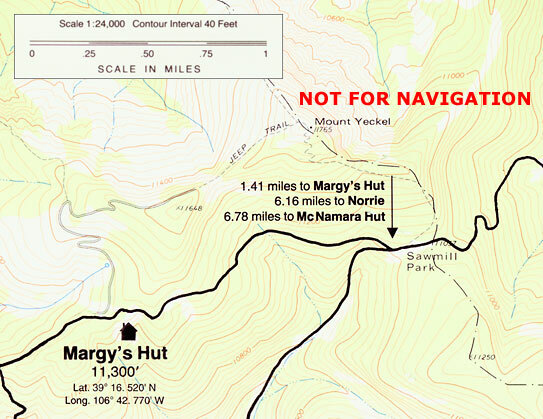 Built in 1982, Margy's Hut (along with the McNamara Hut) was one of the first two huts in the 10th Mountain system. 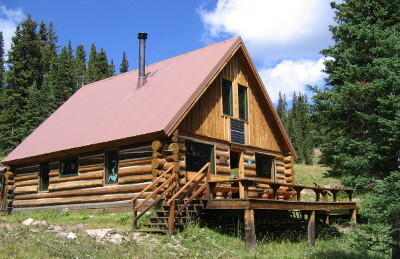 The building of these two huts represented a major step for the fledgling organization, which had to promise the Forest Service that the huts would be razed if they were not used. Hut construction was funded by Robert McNamara (former secretary of defense) and friends, in memorial to Robert's wife Margy. Layout and capacity: Bunk room that sleeps 4 downstairs, 1 private room with a double bed plus 10 single beds in a communal sleeping room upstairs Capacity 16. The main winter route into Margy's Hut follows FS 103 to the Johnson's Creek Trail. The trail climbs Steeply up Johnson's Creek until it intersects FS 103. The route then follows FS 103 to FS 526 and on to the hut. 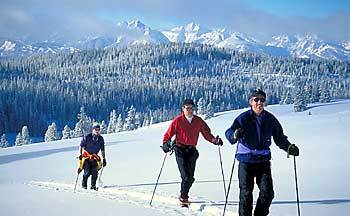 You can also ski in from the Fryingpan River Valley but this route is seldom traveled and crosses through a wilderness area where we are limited in how we can mark the trail. The non-motorized boundary now starts about 3/4 mile from the hut, where Forest Service roads 103 and 526 intersect. 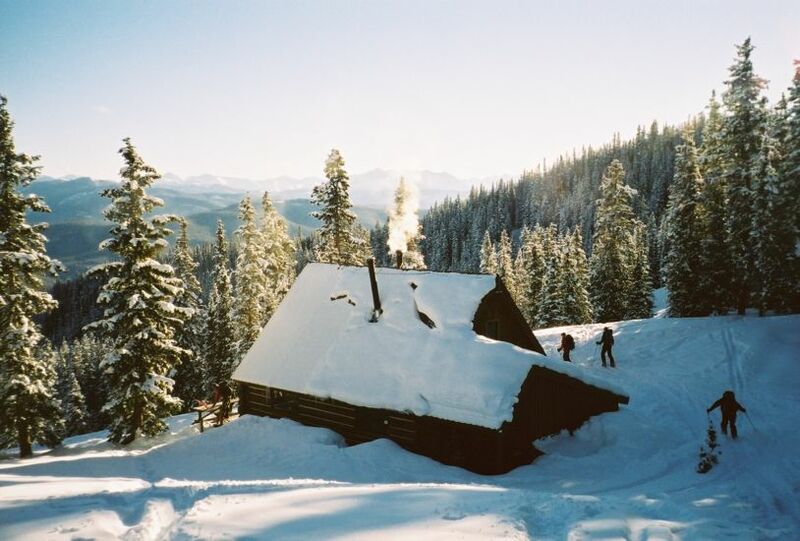 At this location you will be able to turn your snowmobile around and park, before skiing or snowshoeing to the hut. There may or may not currently be a sign at this location, but restrictions apply regardless of the absence or presence of signs. Please pack accordingly and thanks in advance for your compliance. During the summer Margy's can be reached by driving in along FS 103 to the summer closure gate approximately 1/4-1/3 mile from the hut. Alternatively, for a beautiful, secluded hike you can follow the Spruce Creek trail to Sawmill Park and follow the Mt. Yeckel trail into the hut from there. Vehicle access is never guaranteed to any hut at any time. From Margy's Hut you can hike to the top of Mt. Yeckel for stunning views of the Fryingpan River Valley to the north and the Elk Mountains to the south. There is also an extensive network of Forest Service roads that extend west into Kobey Park that make for some fun mountain biking. Below is a tribute video for the Uncle Bud's Hut. This film was produced and directed by Wildwood Films. The film features archive film and interviews that celebrate Margaret McNamara and her life.